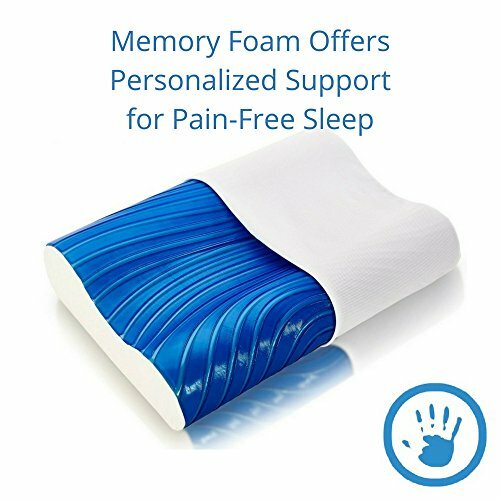 You have likely heard of memory foam technology and its tremendous relief and soothing sleep benefits. Our cooling gel pillow reacts to the sleeper’s body, optimizing airflow. Cooling gel cradles the head and neck, optimizing airflow and helping your body maintain a cooler temperature throughout the night. Our innovative pillow conforms seamlessly to the contours of the head, neck and shoulders. The ergonomic design accommodates side and back sleepers. Hypoallergenic, comfortable, and washable, our pillow’s cover is water-resistant, allowing you to wake up free of discomfort and excessive moisture. 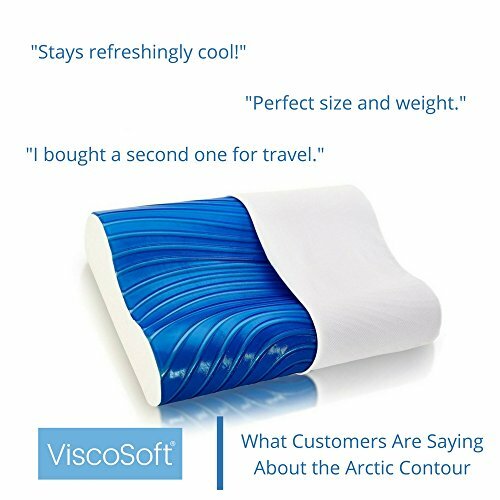 COOLING GEL: The Arctic Gel Contour pillow contains 2 lbs. of our wave-flow cooling gel that is specifically formulated to react to the sleeper’s body, optimizing airflow. 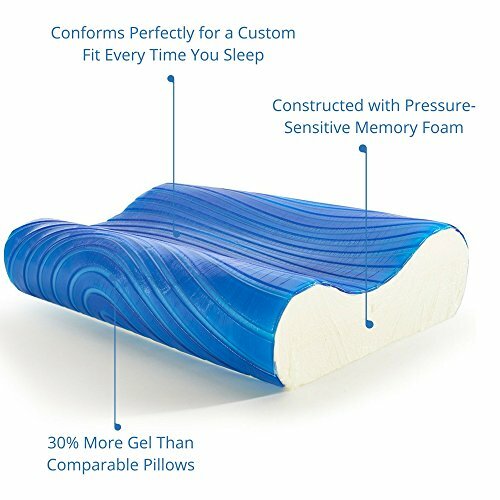 This is 30% more cooling gel than comparable pillows, creating a sleeping surface that is cooler than conventional, molded foam. CONTOURING MEMORY FOAM: Our durable pillow is carefully constructed with pressure-sensitive memory foam to conform to the contours of your neck and shoulders, reducing pain and providing comfort and support for side sleepers and back sleepers. A super responsive design adjusts gently to every movement keeping the spine correctly aligned throughout the night. 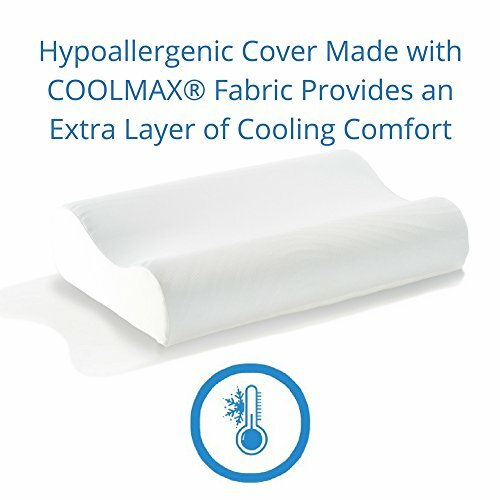 HYPOALLERGENIC, MOISTURE WICKING BREATHABLE COVER: Our smooth, washable and sanitary pillow cover, made with COOLMAX® fabric, is hypoallergenic and anti-bacterial. Moisture-wicking properties ensure a cleaner, fresher sleep experience. YOUR CUSTOM PILLOW: Invest in memory foam and change the way you sleep. 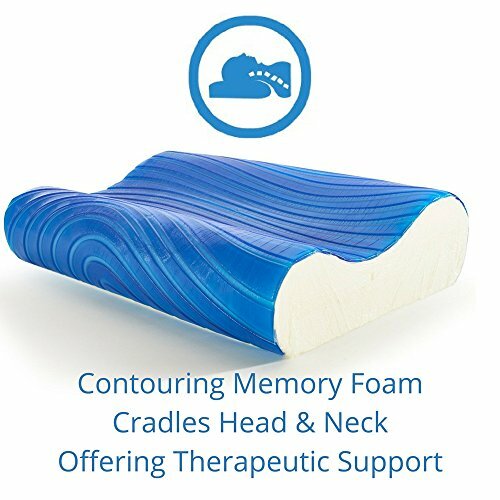 The molded memory foam around your head and neck’s curvature provides optimal support that’s tailored to your individual needs, helping you wake up refreshed, energized and ready to make the most out of your waking hours – all thanks to this simple yet incredibly effective change in your sleeping habits. 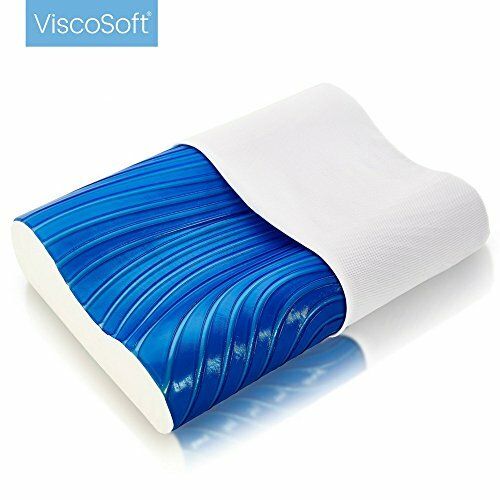 VISCOSOFT’S SUPERIOR GUARANTEE: We are a leading, USA-based brand committed to providing you with premium products for improving your quality of life. In the unlikely event you change your mind, you’re welcome to return your pillow for a FULL refund within the first 30 days post-purchase. 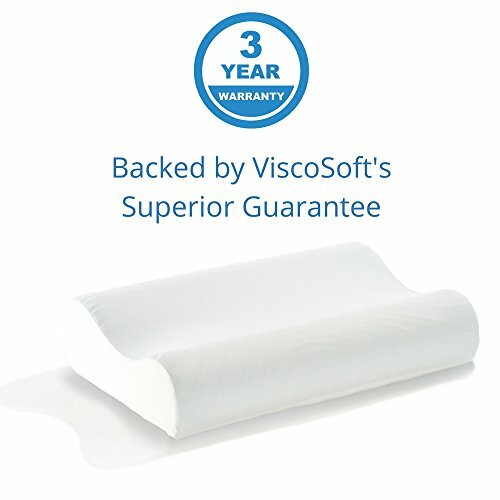 All ViscoSoft pillows are backed by our outstanding 3 year warranty for manufacturing defects.